The South Knox School Board is considering a timeline for the Corporation’s summer school activities. The planned reimbursement application deadline is on April first. Summer school teachers would be hired at the April ninth Board meeting, with bid opening for summer school bus routes on May first. May 14th would be the bid award for the routes; summer school itself would be held from June tenth through June 27th. 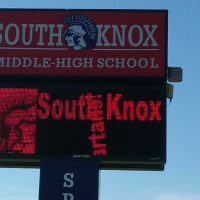 The South Knox School Board will consider approving the schedule at its session on March 12th.